International (MNN) — Deaf people in societies throughout history have dealt with severe oppression. This marginalization of the Deaf is called Audism — discrimination against a person based on their ability to hear. The history of Audism has taken some dark turns. In Nazi Germany, more than 17,000 Deaf Germans were sterilized. Until about 60 years ago, sign languages were not seen as legitimate languages and were often suppressed in schools. 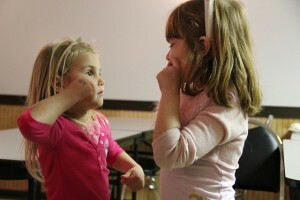 In some developing societies today, Deaf children are hidden away and thought to be cursed. While Deaf awareness today is growing, the Deaf still have to deal with social barriers and lack of access. It can be exhausting. These barriers can even be presented in the Church when efforts are not made to welcome Deaf Christian brothers and sisters as equal members of the Body of Christ. Deaf Bible Society is working today to bridge the gap between the Deaf and the Gospel. Today, there is still not one complete Bible in any sign language. Additionally, 97 percent of the Deaf are still unreached with the Gospel. When Deaf people are able to engage with Scripture in their heart sign language, they can identify with biblical figures who were marginalized, oppressed, and left out — and the hope offered through Jesus Christ. Getting the Bible translated into all sign languages is critical for the advance of the Great Commission. That’s why Deaf Bible Society is working with ministry partners to get sign language translations of Scripture. 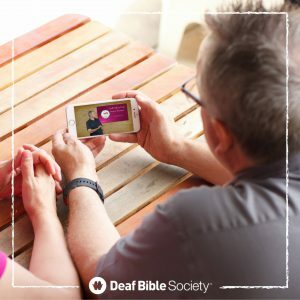 You can check out sign language Bible translations for free on the Deaf Bible app! As Deaf Bible Society reaches Deaf individuals with God’s love, please pray for the ministry to grow for the sake of the Gospel. Ask God to prepare Deaf hearts to receive His Word. Pray that through Scripture, the Deaf would find true belonging in Christ. Finally, pray for Deaf Christians to be embraced by hearing believers and ask God to show you how you can encourage Deaf access in a diverse Christian community.